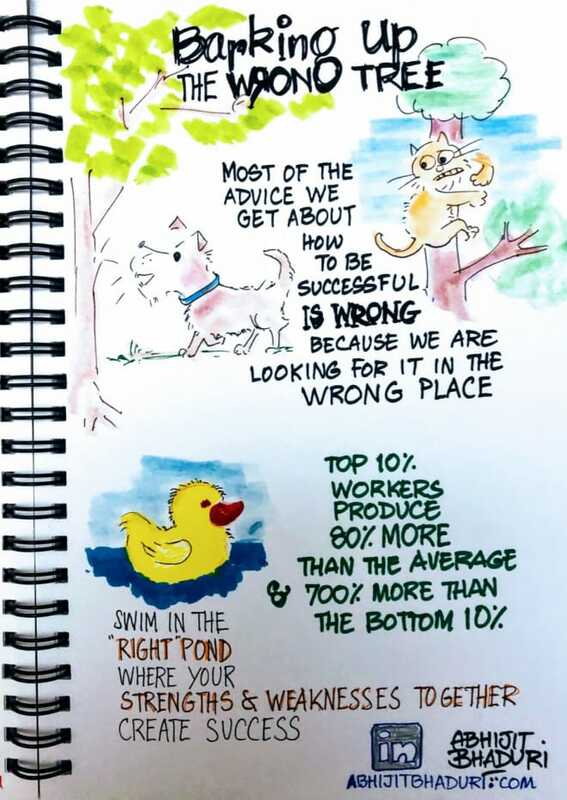 In Barking Up the Wrong Tree, Eric Barker has turned 37 pages of reference and research to write a book on the evidence and science behind success. If someone asks you for advice you on how to be successful in life, chances are that your advice will be based on hearsay and unproven opinions. Because everything that you and I know about success is (mostly) wrong. If you play by the rules, are you likely to be more successful than the person who followed his or her own heart? Are narcissists more likely to be successful than someone with empathy? “Talent does not control what you can achieve in life,” says Benjamin Bloom. If it is not talent, then what leads to success? 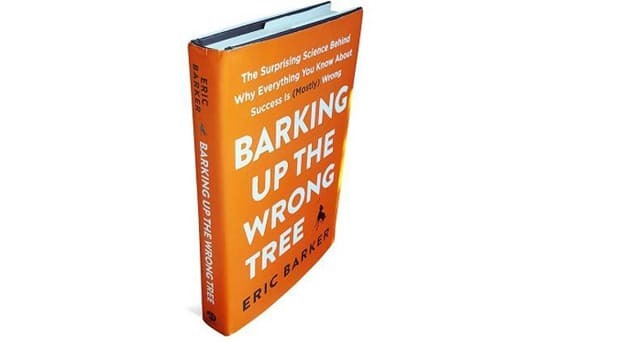 In Barking Up the Wrong Tree, Eric Barker has turned 37 pages of reference and research to write a book on the evidence and science behind success. That’s not all. There are lessons from serial killers, piano prodigies, Navy Seals, hostage negotiators and more to get not just research but wisdom that you can use to be successful. How do you define being “successful”? What does being “successful” mean? Is it to make a certain amount of money or to help others or to build an institution or something else? Does that mean being a top performer? Our personal definition of success is what matters. The top 10% workers produce 80% more than the average and a whopping 700% more than the bottom 10%. Assuming equal talent and efficiency, the person who spends more time working at the craft, wins. Success is not the result of one single quality. It is also about having the right skill and being in the right role where that skill (and your weaknesses) can be an advantage. A job that leverages your natural extraversion or introversion plus a network of people ready to help will take you further than going solo. When you have a story that connects you to the world, you are motivated to work hard at your goal. Rule number one is, know thyself. If you are a “filtered leader” i.e. good at playing by the rules, high on conscientiousness, you will be successful in jobs where there are clear paths and a clear answer. If you are more of an outsider, an artist or an unfiltered leader, you will feel stifled in a rigid, formal structure. Many fundamental aspects of your personality do not change. Traits like verbal fluency, adaptability, impulsiveness, and humility are relatively stable from childhood to adulthood. So, rule number two is, pick the right pond. We all know that it is important to have a mentor. After all, Atul Gawande, a staff writer of New Yorker, Rhodes Scholar, recipient of the MacArthur “genius” grant and bestselling writer felt that having a mentor improved his skills further. Top players find mentors. A mentor makes learning fun. You must find one too. How do you find one? And do you need more than one mentor? Do women need more number of mentors than men? What is the right number of mentors to have? To answer these questions, you have to read this book. Eric Barker also talks about how to be happy. The research on happiness is surprising. Staying connected to a group of friends and loved ones who help you become the person you want to be is how you can be successful and happy. Relationships bring you happiness. You can make a beginning by gifting this book to your friends and sharing your dreams with each other. That may be the best step towards success.